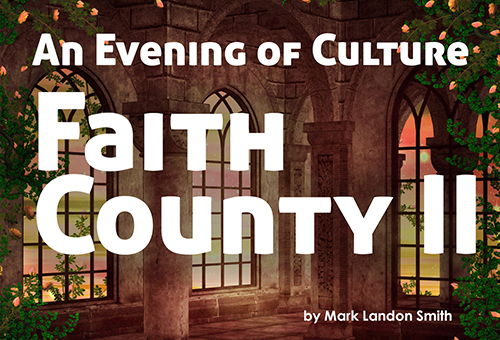 The saga continues in the long-awaited sequel to the wonderfully popular Faith County. We’re in Mineola County again, where the Community Theatre is producing Romeo and Juliet. Even though the cast members don’t have their lines memorized, the set isn’t finished, and a dog keeps barking offstage, they’re gonna give it a go! Featuring your favorite local stars, the Sentinel Upstage Players, from Faith County I.